Known for exceptional guest service and numerous customer satisfaction awards, this four diamond hotel and conference centre is the closest hotel to the brink of the Canadian Horseshoe Falls. 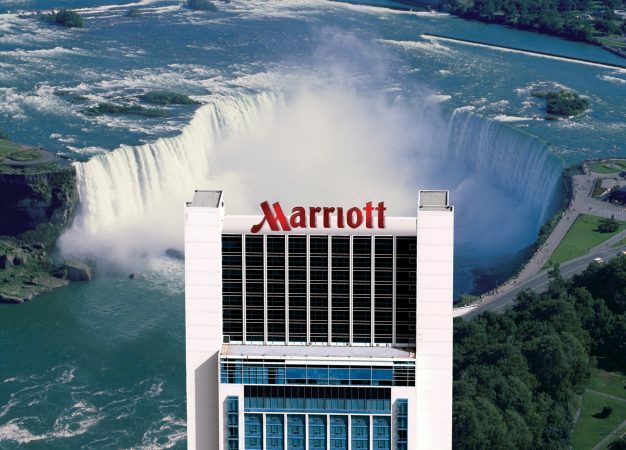 For our guests looking to experience the best that Niagara Falls has to offer, the Marriott on the Falls is situated in the heart of the Fallsview Boulevard district, minutes away from area attractions, world-class wineries, golf and casinos. The 405 guestroom Marriott on the Falls Hotel offers exceptional guestroom accommodations, sumptuous dining options at its on-site Milestones Fallsview Restaurant, over 40,000 square feet in meeting space, and much more.